Forside » Kanaliseringer » Ærkeengel Michael » Embody Your Awakened Self! Greetings from Archangel Michael. You are indeed, in this moment the presence of Solar Cosmic Christ Light. And more of this photonic light and Divine frequency streams in now, to surround you fully and completely, to uplift you, and to support you with where you are on your ascension journey… With where you are on the path of raising your vibration. These light codes… The Divine frequency and solar cosmic light meet you where you are right here and now. And when you allow the light in, it serves in activating you to an entirely new level by increasing the level of light you can carry. This supports you in expanding your level of awareness so you can more effortlessly embody the light of your solar crystalline awakened self… Standing in your Divine truth, embodying your true Divine nature. 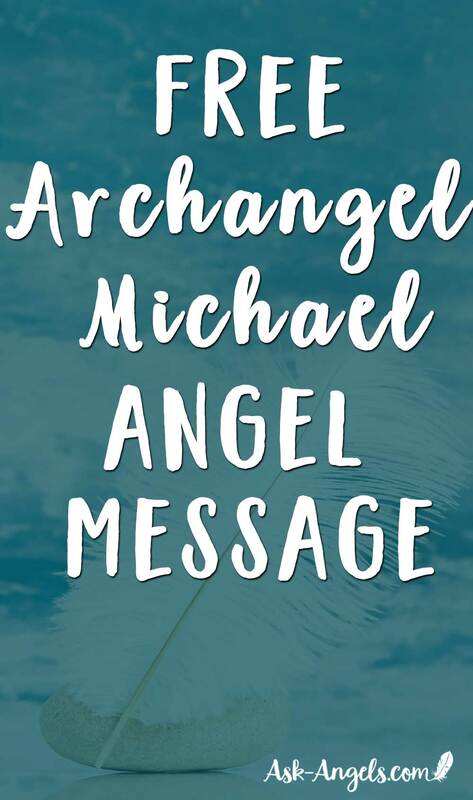 And to support you in this now, your team of Guides and Angels steps forward surrounding you in a circle of love, light, and frequency, so that in this very moment you know you are safe, supported, infinitely loved and blessed. All of these beings— who stand in the light shining with unconditional love — flow the blessings of unconditional love, Divine presence, and awakened consciousness forth, to support you right here and now. And so, breathe, relax and begin to tune into the frequency which is elevating around you. Begin to tune into the subtle vibration of love as it is raised. You may become aware of areas where tension has been stored in your physical form, or perhaps even thoughts or emotions. Whatever is coming up for you now, let it go. Breathe light into areas of your physical body where you feel tense. Breathe in love and greet any lower emotions or vibrations that emerge with love. Continue to breathe and relax as your vibration lifts higher. Allow your awareness now to focus on the area of your heart center, in the center of your chest, and let the light of your heart illuminate with golden crystalline light. expansive, glowing brighter, circulating love and Divine presence through your entire being. As you breathe in, let your heart light grow more vibrant and as you exhale, let the light of your heart naturally expand. Continue to relax, knowing that as you relax, you are able to let more light in. As you relax, your heart is able to grow more vibrant. And so, breathe, relax, lift in the light that is all around you and let your vibration become elevated right here and now. Open heart. Activated heart light. And now, tune into the column of light circulating along your spine. The column of golden white light that unites all of your chakras as one. Activate this column within yourself now through your awareness and your intention. Feel this column of light reaching up above you, into direct presence with Source and flowing down below you, all the way to the crystalline core of Gaia and expanding around you in a Torus of light. Tune into your light body, as the energy expands around you and more and more light flows into your present point in time. You can become aware of this light when you choose to tune into your light body level of awareness. Now visualizing your light body growing brighter. And now, above your head, become aware of the energy of the sun, the sun which broadcasts towards earth the new codes of light from the Divine. Divine codes of ascension direct from the central sun broadcast towards your planet, and into this very now. Imagine the sun brightly glowing above you. Feel its warmth, light and awakened frequency shining down upon you — in through your crown chakra, down along your spinal column —filling you with golden light, photonic light, Divine light, sunlight right here and now. Expand, lift, and elevate your vibration. Now, imagine from within the sun, the center of the sun, the brightest orb of golden pure sunlight begins to lower down, lowering down in through your crown chakra, through your pineal gland, down through your throat and your high heart and into your heart energy center. The plasma light of the sun elevates the vibration of your heart light exponentially, expanding the energy of your heart light Torus around you. Breathe and let the light of your heart grow vast and wide. Let your heart light and the light of your awakened light body expand to fill the entire room you are in. And now, in this space, let your awareness disperse so that you are no longer solely aware of yourself as a physical being, rather you are aware of yourself at the light body level. Disperse your awareness and let yourself become the particles of light. There is no more density, no more physical, just light. You are the light, the sunlight, the particles of light that now accelerate, expand, light up and flow all around. Continue expanding further now, as this orb of light, this sunlight that you are, expands around your entire city, filling with light. Become aware that you are one with this light expanding to fill your entire country with light. And now, expanding to the global level, tune into the particles of light flowing throughout every inch of Gaia, Mother Earth. Let your energy disperse, expand and light up as you tune into the light of the earth, the light of the Divine that you are one with, that you are a part of. Light up, expand, elevate, shine. And now, return your awareness to your heart, inside your physical form, glowing brighter than ever before. Notice how you are aware of yourself as a physical being, but you can also shift out to this global level in an instant. This is your true multidimensional nature. This is the truth of your radiant solar light. Tune into the light of the sun above you with gratitude and love. Tune into the light at the core of Gaia below with gratitude and love. Tune into the light of your heart within you with gratitude and love. You are this light. Let it shine throughout your physical body. Let it shine throughout every area of your life. Let it ripple out beyond you far and wide, to quite literally en-lighten humanity, earth and all that is. Keep shining this light within and know that it is creating powerful shifts and changes without. Shine as the Divine being you are, love as the light being you are, live as the awakened spiritual being in physical form you are, illuminated, vibrant, centered and filled with solar light and love. Let the light shine throughout your physical body, your mind, your emotions and your spirit. And from this place, as an awakened master at the table, become aware once again of the team of Guides and Angels and Ascended Masters who are all around you. Become aware of their guidance, their support and love and blessings for you here and now. Open your heart, quiet your mind, elevate your light and receive this guidance and blessing. What are your next steps that are the most closely in alignment with your purpose at this time? Open your heart to receive this guidance. And what are you already working on or doing in your life that’s most in alignment with your highest sole purpose? Become aware of this now. And finally, beloved team of Guides and Angels and Ascended Masters, what further guidance do you have to share to help me more brightly shine, vibrantly live and stand in my full embodied truth? Open your heart to receive your answer in words, as thoughts or as frequency. And now, in a final blessing from the hearts and energy signatures of all those who surround you, your team in spirit, we all flow forth our blessing, support, codes of awakening, Divine frequencies and love to support you now. We send this blessing from our hearts to yours. Open your heart, light up, receive, elevate your consciousness, expand your light.